2018 has been a cold year here in Minneapolis Minnesota and this has put quite a bit of stress on homes with boilers. 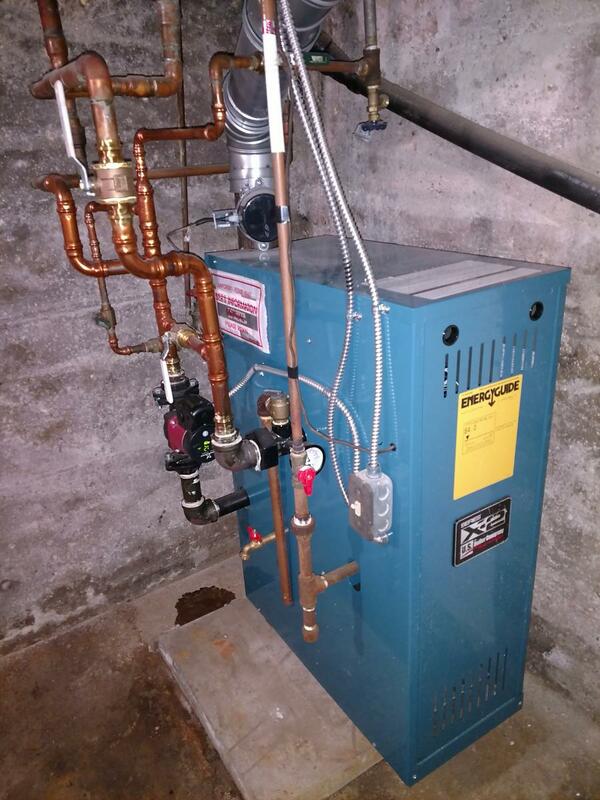 When weather is this severely cold, older boilers tend to fail due to overworked or worn out parts. If the boiler fails and breaks down, pipes and radiators can freeze and crack if it's not addressed fast enough. If the boiler itself is older than 15 years, think about replacing the unit in the next few years, as it has reached the end of its designed lifespan and parts will likely being to show signs of failure. In this year alone, Mill City Heating & Cooling has replaced more broken radiators and radiator piping than the last few years combined. It is recommended that you keep your boiler in good running condition, and Mill City Heating & Cooling can help you do just that. If you will be out of town for a long period of time, it is a good idea to have someone monitor your property to make sure the boiler is running, or to install a WiFi thermostat to be able to monitor the boiler for operation and control the temperature when you are away. One of our customers in south Minneapolis recently experienced a similar problem. He was out of town for a week and while he was gone, his boiler shut down, causing his pipes and radiators to crack. When he returned from his trip, he was shocked to find frozen water throughout the house and called Mill City Heating & Cooling to help. When we arrived, the radiator pipes and radiators in the house had frozen up and needed to be thawed out before we could perform pressure testing on the radiant pipes and radiator system to diagnose the system for damage. We were hired to install a boiler, as well as seven cast iron radiators, five radiator pipes sith a WiFi thermostat. The plumbing pipes, lath and plaster walls and hardwood floors had also suffered severe damages and had to be repaired. After going through all the trouble, our customer told us that he is happy to know that this issue will most likely not occur again.